The pain of nations is often healed by people who once experienced the same pain. It is for that reason Theo and Bri believe God is calling them to go and help regions that have been forsaken and slowly destroyed. Theo Makombe is a 1994 Rwandan genocide survivor, when 1 million people were killed in 100 days. In Rukumbeli, the district where Theo grew up, the population was predominately Tutsi before the genocide and because of that; his area saw some of the greatest tragedy. Out of around 50,000 in this area, 300 survived. Theo is one of those 300. God brought him through horrific events in His supernatural power. His story is one of unfathomable loss and unmistakable miracles. After the genocide Theo lived as the living dead, dead to the world, but somehow still alive. When he met God in 2000 he knew that his life would forever be devoted to Him. As a missionary with YWAM Theo met and married Bri, who was also serving with YWAM. They served in Rwanda and Scotland together until they moved to America in 2008. In America their family grew and now with 4 children God has released them to return to Rwanda in full time missions as they attempt to reach the Eastern African region and beyond. Theo has been healed and saved from so much and he cannot bear to see his fellow survivors still in so much suffering. Rukumbeli is still in a state of despair and depression. 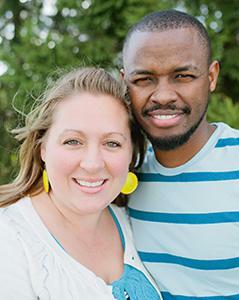 Theo and Bri have a passion to bring the light of God, transformation for the lost and the multiplication of disciples. Their vision is to see Eastern believers become missionaries to the world using their stories to help others see God in the midst of their circumstances. In his book, The Race for Life: Memoirs of a Rwandan Genocide Survivor, Theo tells of God’s story on how he saved him in a supernatural way. Theo and Briana believe that all kinds of violence can be stopped without weapons of war. People need to know the Lord of peace before they can ever begin to build peace between themselves. Rwanda, among many African countries, has been an example of this process. Having independence is a great sign of freedom, but it has been proven that freedom has not come until people received Jesus Christ. For this reason, we are asking you to consider their mission yours and help them achieve God’s calling to rescue, restore and transform lives that are daily perishing without knowing the savior. As fulltime missionaries, we would like to ask you to pray, asking God if He would have you partner with us with your regular financial and/or prayer support. 1. Continued prayer for fundraising and partnership. 2. That God would prepare the soil of peoples' hearts in Rukumbeli to receive us and the Gospel. 3. For God's hand in our preparations and for "God connections".